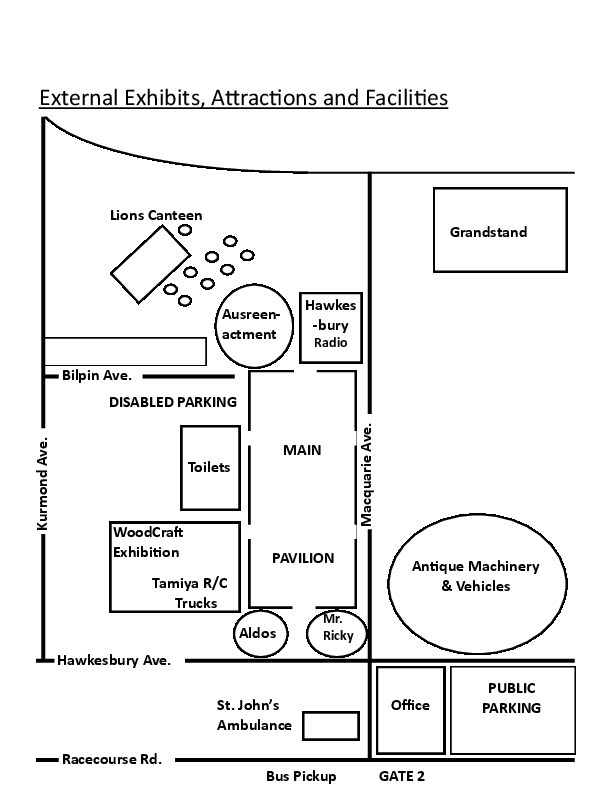 This is a general overview of the section of the showground used for the Hawkesbury Model & Hobby Show. It shows the location of the facilities and exhibits. Most exhibits are in the hall in the centre of the diagram.